This Wine Maxi Dress with Open Back and Embroidered Top is so pretty! Perfect for any special occasion! We love its beautiful embroidered top and open back. I love this dress so much, it looked exactly how I ordered it and the price was so reasonable. The color is beautiful and the fabric and quality is 10/10. The shipping is amazingly fast and overall this store is the best shop for all their dresses. The only complaint is that things go out of stock really quick so just get what you want fast! 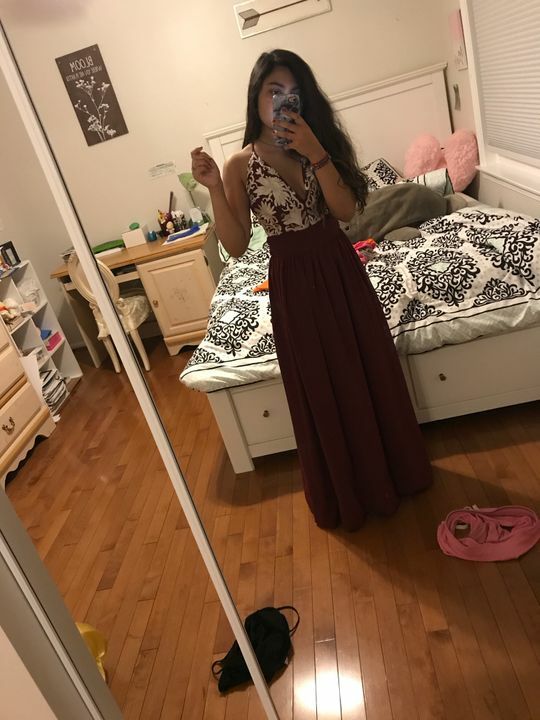 Loved this dress and so did everyone else! Lots of compliments and fits true to size. Will most definitely be ordering again!